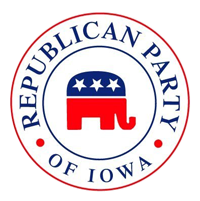 DES MOINES, IA – The Trump presidential campaign today kicked off its Iowa Women for Trump coalition in conjunction with the unveiling of Donald Trump’s childcare plan. The coalition includes over 200 women and is growing by the day. Nearly seventy members of the coalition assembled on the steps of the Iowa State Capital to hear Lt. Governor Kim Reynolds, Speaker Linda Upmeyer, RNC Committeewoman Tamara Scott, and Trump Senior Advisor Tana Goertz speak about Donald Trump’s groundbreaking childcare plan and his long history of supporting professional women and mothers.